Learn how to speak with light. Join creative lighting master and Nikon Ambassador Joe McNally and discover exciting new lighting possibilities using the SB-5000 Speedlight. This informative and entertaining online video class starts with a hands-on demonstration of the Speedlight's key features and functions. You’ll then join Joe and his team, first in the studio for quick lessons of an on camera and off camera flash, and then in the field for some truly spectacular remote flash setups made possible by the SB-5000’s radio control and line-of-sight system integration. You’ll hear Joe's favorite features of the Speedlight, his overall approach to creative lighting and some of his insightful techniques for creating dazzling images. Join Joe in the studio for four types of TTL shots: on-camera flash, bounce flash, off-camera flash and radio control flash. 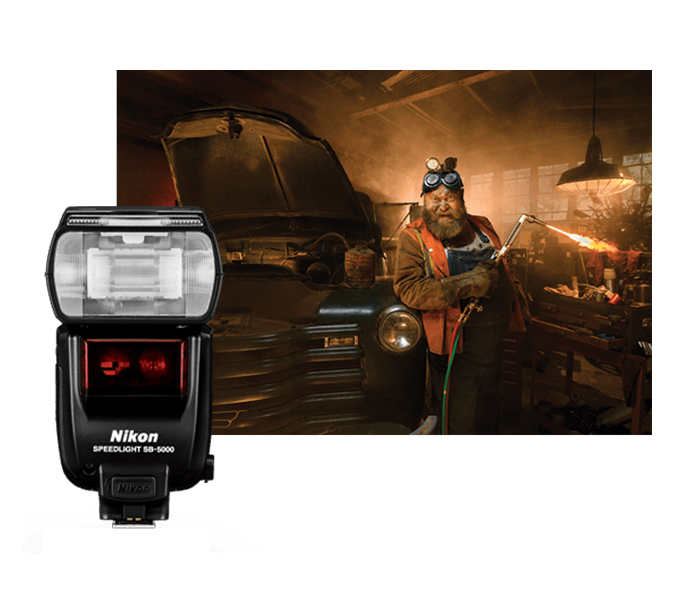 Then take things to the next level and join him in the field, where he demonstrates some of his signature techniques—and some amazing new ones, thanks to the radio control capabilities of the SB-5000 Speedlight. Watch as Joe overcomes the challenge of lighting a barbershop quartet in a big theater utilizing radio control of the SB-5000 and line-of-sight (optical) of the SB-910 to make a truly amazing group portrait. Total video length: 41:52 minutes. Joe McNally is a Nikon Ambassador, author, workshop instructor, lecturer and one of the most acclaimed photographers of his era. With a career spanning more than 35 years and 60 countries, he has been described as “perhaps the most versatile photojournalist working today”. He has shot covers for TIME, Newsweek, Fortune, Entertainment Weekly and many more.